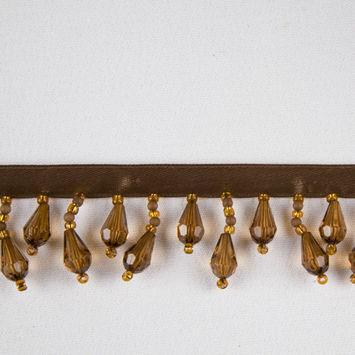 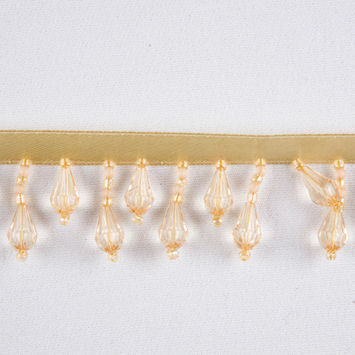 Beaded Fringe Trim adds a touch of glitz and glamour to any ensemble. 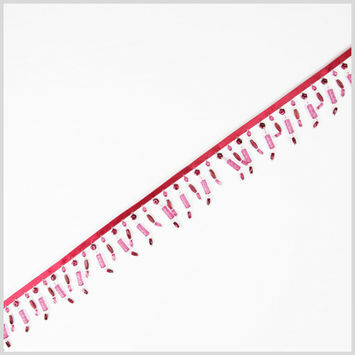 Fringe and beads have been around since ancient humans roamed the Earth. 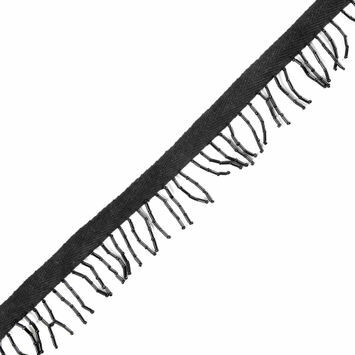 Where fringe was used to halt the unraveling of a garment instead of using a hem, beads were used as the earliest known examples of jewelry. 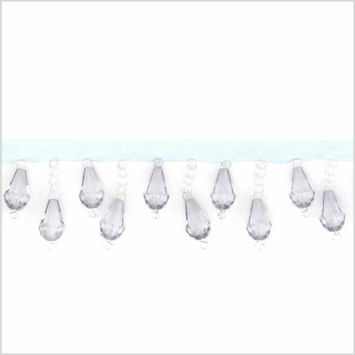 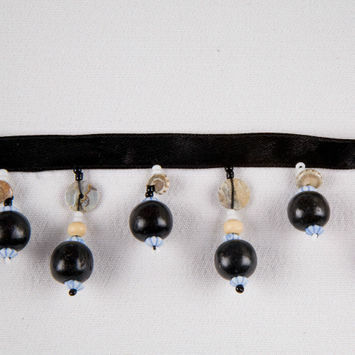 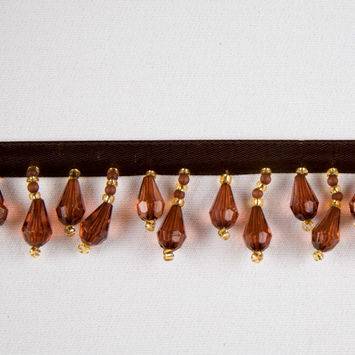 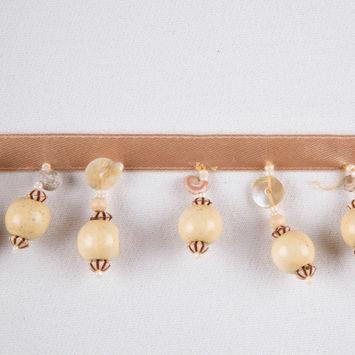 Now, both fringe and beads are used as a form of decoration. 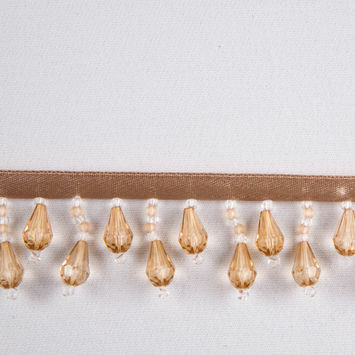 Adorn beachy blouses with beaded fringe trim, or create cute curtains with beaded fringe. 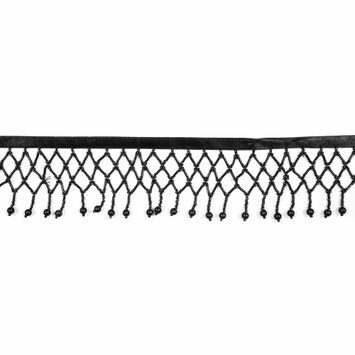 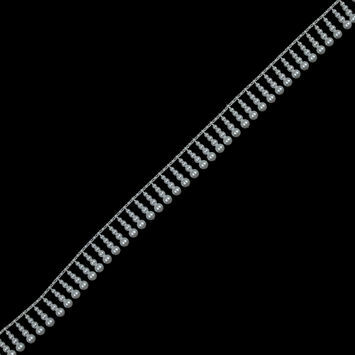 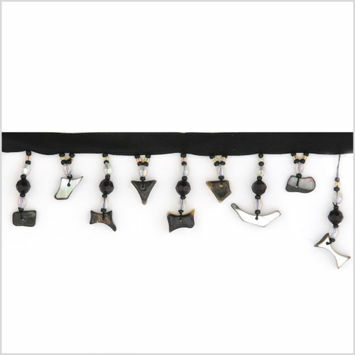 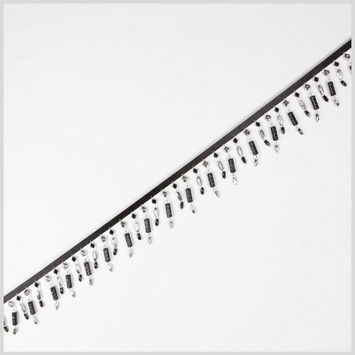 Black Beaded Fringe Trim - 2.5"
White Plastic Pearl Fringe - 1"
Black Beaded Fringe Trim - 1.5"
Brown/Gold Teardrop Fringe - 0.875"